$2.22 Special Repeat Clients Only! Call Tree Now! Call Lady Tree for loving guidance towards finding the desires of your heart. 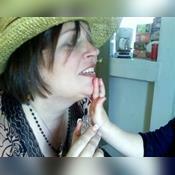 Using empathic impressions, cards, i ching, reiki and hypnosis, she'll help you find your path towards all you seek. and her accurate predictions and time frames. and specializes in helping clients release negativity of past traumas and relationships in order to regain their personal power. Copyright 2009 All Rights Reserved to Treeofenchantment. enchantedtree has been a user of Keen since 2001. Getting Life Questions advice from enchantedtree through www.keen.com is safe, secure and confidential.